Check Out Our Huge Selection of New Chevy Vehicles near Queens! Call Major Chevrolet and speak to one of our Sales Professional for Additional Details on this vehicle. Tax, title, license and dealer fees (unless itemized above) are extra. Not available with special finance or lease offers. Used Cars Terms and Conditions: The advertised price is the price for this vehicle in its current condition. Any body work requested by the customer would be an additional cost. The price does not include sales tax, vehicle registration fees, cost of additional requests by customer, finance charges, processing charges, any other fees required by law. Processing fee in New York is $70. We attempt to update this inventory on a regular basis. However, there can be lag time between the sale of a vehicle and the update of the dealers used car dealership. The advertised price for this vehicle may vary if trading a vehicle in. When trading in a vehicle, often there is a negative equity situation, which means the value of the vehicle is less than the outstanding loan. In these scenarios, there is the possibility of rolling the negative equity into the new vehicle being purchased which could result in a price higher than listed on the internet. Internet price may reflect cosmetic condition of the car. Car sold cosmetically as is. It might have typical wear and tear minor scratches or dents. We try our best to procure books and extra keys from the previous owners. With that said, we do not always have spare keys, books, floormats, or other accessories for every vehicle. Therefore, in most cases we can only provide the accessories that are photographed. For instance, if we show a navigation display with a map, there is a navigation disc with the car. If you do not see it, assume the item is not included. We encourage you to email or call us if you are concerned about specific items like floor mats, spare keys, navigation discs/SD cards, DVD headsets, etc. EPA mileage estimates are for newly manufactured vehicles only. Your actual mileage will vary depending on how you drive and maintain your vehicle. Before purchasing this vehicle, it is your responsibility to address any and all differences between information on this website and the actual vehicle specifications and/or any warranties offered prior to the sale of this vehicle. Vehicle data on this website is compiled from publicly available sources believed by the publisher to be reliable. Vehicle data is subject to change without notice. The publisher assumes no responsibility for errors and/or omissions in this data the compilation of this data and makes no representations express or implied to any actual or prospective purchaser of the vehicle as to the condition of the vehicle, vehicle specifications, ownership, vehicle history, equipment/accessories, price or warranties. Tax, title, license (unless itemized above) are extra. Not available with special finance, lease and some other offers. 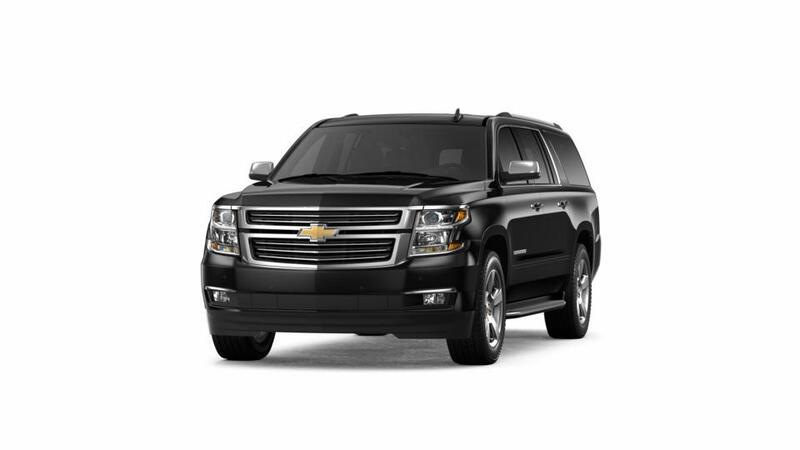 What makes the Chevrolet Suburban such a popular SUV in Long Island City? The Chevy Suburban has been on the market since 1935, and over this time it has built a reputation as a reliable full-size SUV. It seats up to nine with loads of space for storage and features high-rated safety features. It's comfortable, adaptable and will get the job done, for you and your family. Search our inventory of Chevrolet Suburbans. See above for more specs, or call us at (347) 274-8779 about buying or leasing a Suburban in Long Island City. At Major World Chevrolet, our goal is to provide you with all your auto dealership needs by offering the New car that is right for you. We are your premier new Chevrolet dealership serving Queens, Brooklyn, and all of Floral Park. Browse our selection of new and used cars, trucks and SUVs, if you can't find what your looking for call us directly at (347) 274-8779 and we will find it for you.